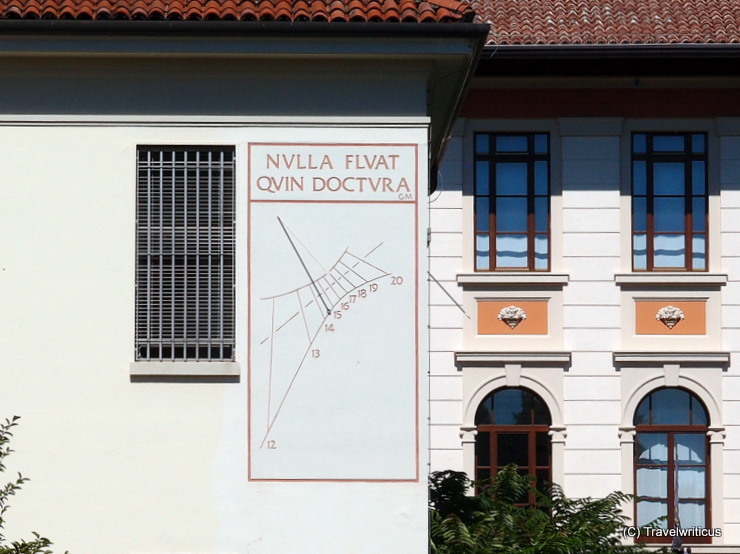 On my urban walk through Udine I come across this sundial. I like the modern style. Unfortunately I don’t know the meaning of Nulla Fluat Quin Doctura. It sounds like you should teach them, there is no flow. Which flow? 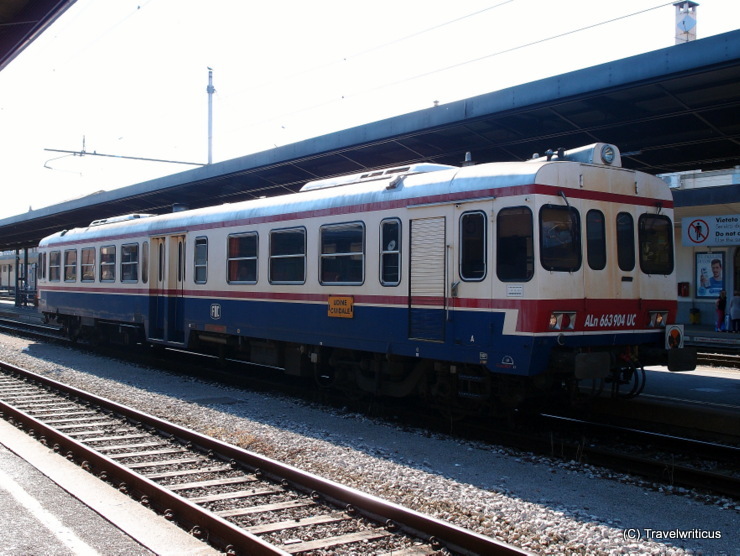 A diesel rail car of the FS Class ALn 663 seen at the railway station of Udine. These cars were built by Fiat Ferroviaria in the years 1983 – 1993. The depicted rail car is in use for the line Udine – Cividale del Friuli. 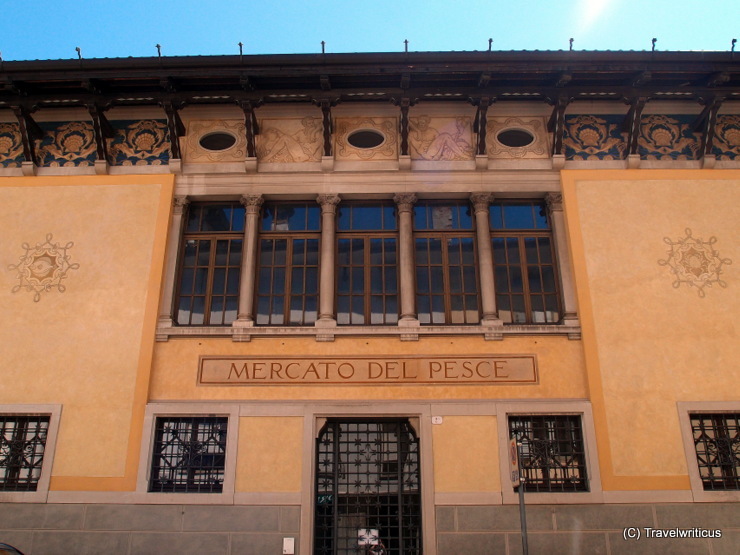 The former fish market hall of Udine offers both details I’m fond of Udine: Beautiful drawings below the roof and an artful smithery at the window and gates. 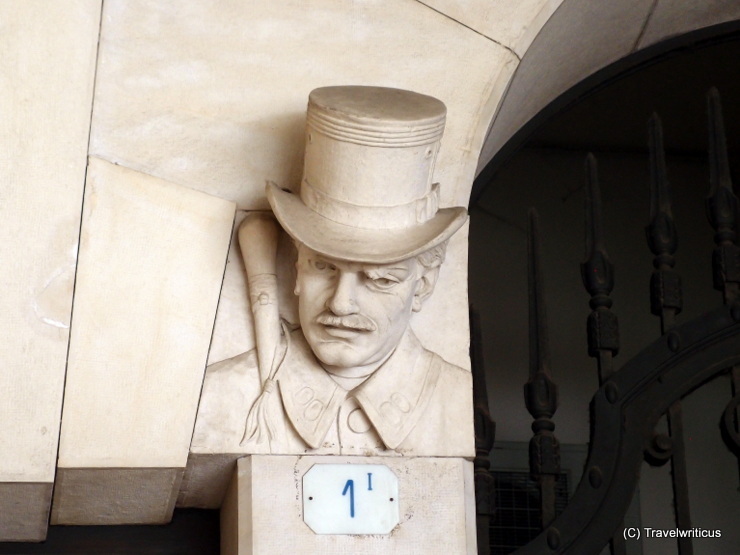 Fun head with hat seen at a building near Caffé Contarena in Udine, Italy. 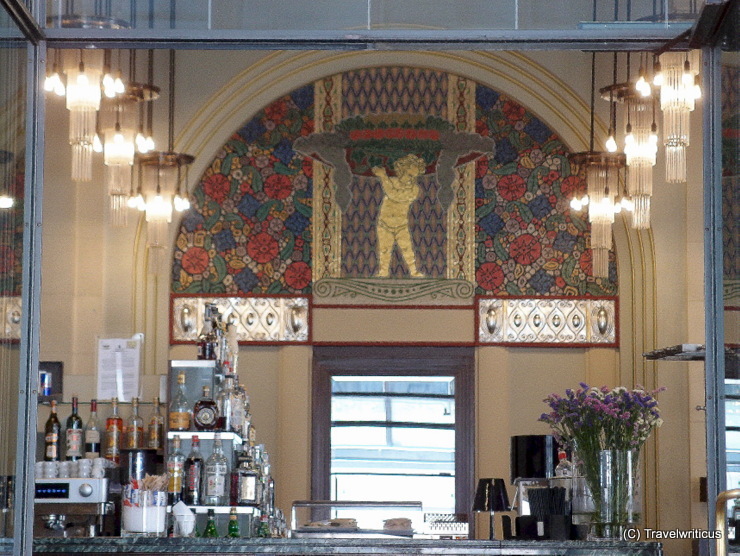 Inside a Belle Époque café of Udine: Caffé Contarena is located next to the Piazza Libertà and offers an impressive interior design made of colourful mosaics placed in the lunettes of the hall. 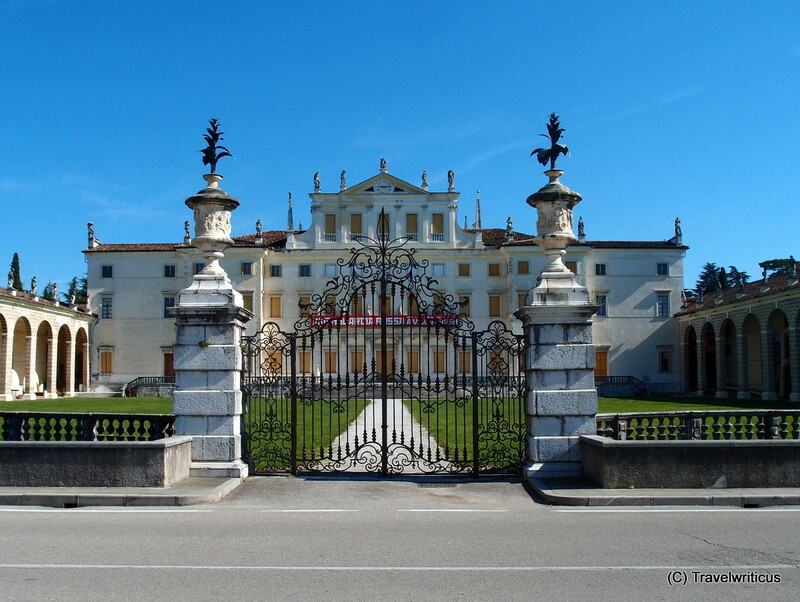 The Diocesan Museum of Udine (Museo Diocesano e Gallerie del Tiepolo) is housed in the Patriarchal palace, the former residence of the Patriarch of Aquileia and current seat of the Bishop of Udine. 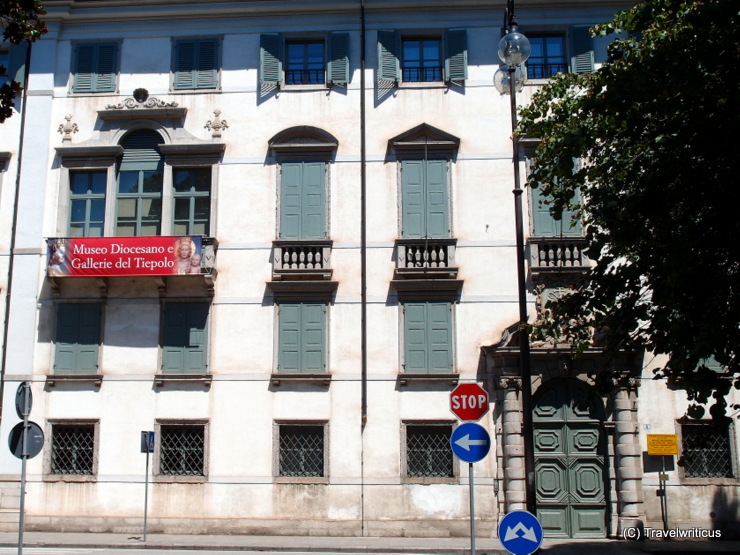 Many rooms are decorated by works done by Giambattista Tiepolo. 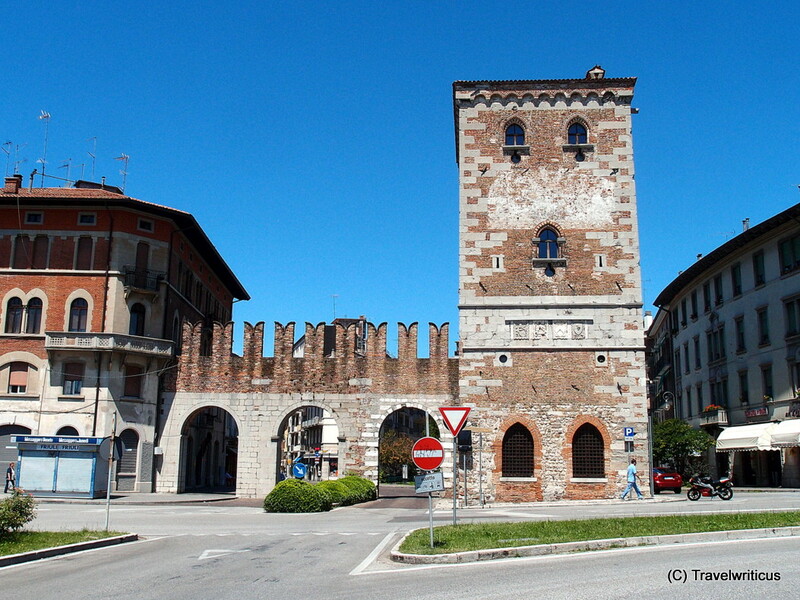 The Aquileia Gate (Porta Aquileia) was errected in 1436 as part of the fifth ring of city walls surrounding the city of Udine. Entering the city through this gate lead to Via Aquileia where you can walk along six old palaces dating back to the 17th-19th centuries. 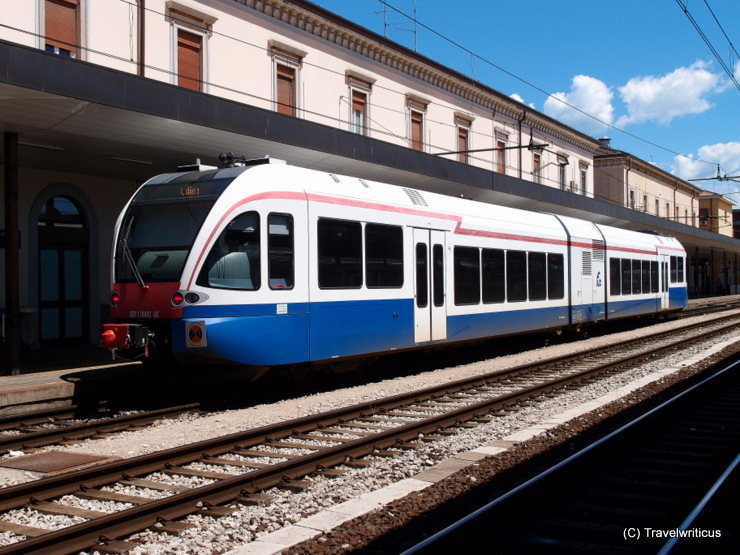 This diesel-electric articulated railcar GTW 2/6, built by Stadler Rail, is used by the Ferrovie Udine Cividale (FUC) for the line Udine – Cividale del Friuli. 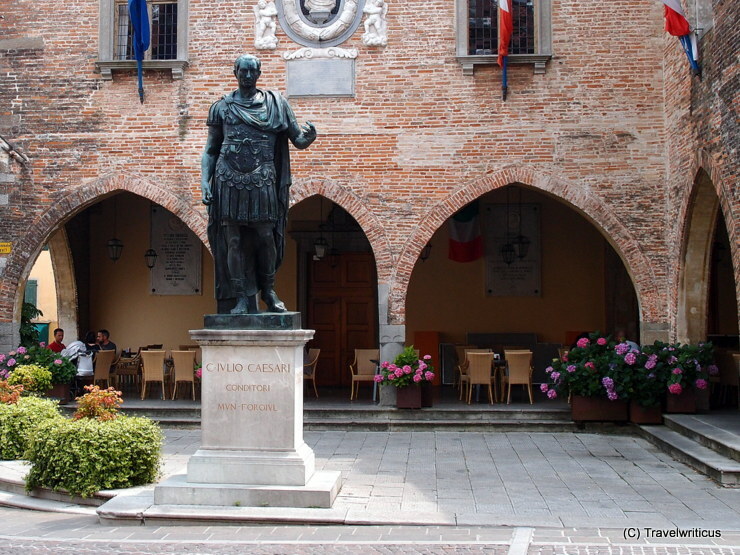 The pic was taken at the railway station of Udine.